"Just this time one year ago I was in the process of building my first PWC ever. I had bought a 2000 Yamaha Gp1200r, and decided after having some problems to start messing with the engine. Two days later the whole thing was taken apart, and the engine was out. I ended up doing a complete engine rebuild, from crank to the head and basically did everything I could on the Gp1200r. Toward the end of my build, I was pressure testing my engine, and had a bad leak that I could not find. I spent days trying to find the leak, and many hours talking to Kevin at WCP (West Coast Porting). Eventually, Kevin told me if I sent him my engine he would fix me up and there is guaranteed to be no problems. 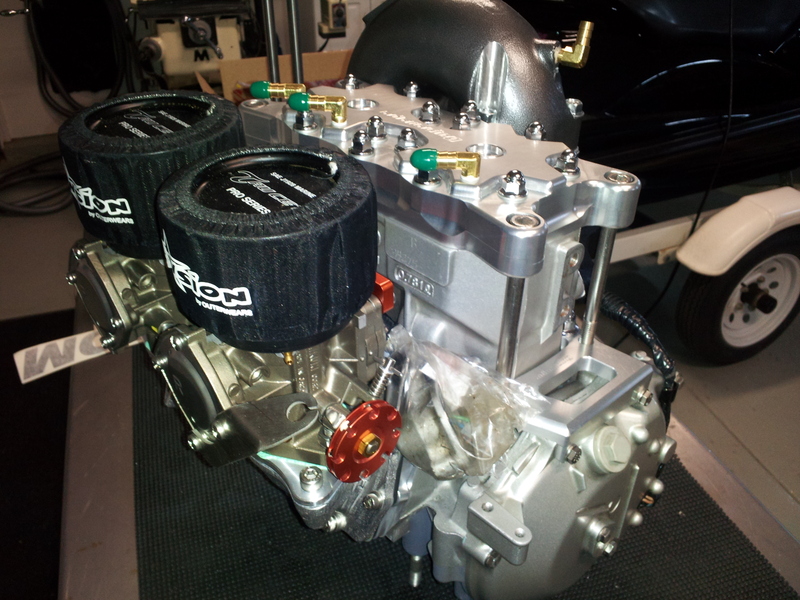 Although I knew Kevin real well, I was a little nervous shipping my engine out because I had never done such a thing. Sure enough I did it, and within a week he had it at his shop. That night he had already begun to put his hands on the engine, and pictures were flowing to my email. I knew instantly it was a great choice to do what I did. I knew I had nothing to worry about, and each day I had a bigger smile on my face. He fixed my leak and my engine came to me looking better than ever. That week I installed my engine! I called Kevin holding the phone in one hand, a camera in the other, and somehow pushed the button with my finger to start my ski! I have to say Kevin is an absolute great guy! I have spent a ton of time on the phone with Kevin from WCP, and I know that he does great work. West Coast Porting is awesome! I have had no complaints, and even get calls asking how things are going, and if I need help. Just like to share my story, and say my time spent with the people at WCP has been great, and I truly appreciate everything they have done." 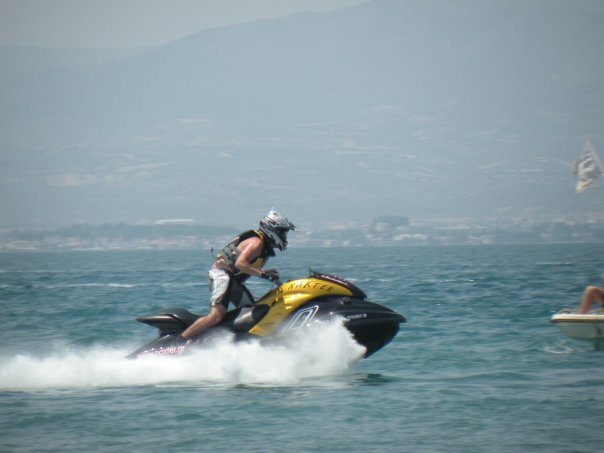 "Hello,my name is Steve,or H204YOU on the Green Hulk>Riva> Island racing>and Hydrotoys Jet Ski Forums.After having the Worlds Fastest Yamaha GP1300R built and [email protected] 89.6 MPH the engine went down with loss of Nicasil in one cyl. with only 2 hrs on the engine.After recieving a new cyl under warranty the engine broke a piston skirt within the next 2 hours.After calling Kevin and telling him my problems,He offered to tear down,inspect,and rebuild my engine charging me only for parts and gaskits.After inspecting the engine he found many items out of spec.He ran a new program on the porting and blueprinted everthing including polishing the exhaust ports to a mirror finish.I cant thank Kevin enough for the quality of workmanship he did in preparing my engine for the upcoming Radar Shoot out at Mud-Bug Nationals this June 11th-14th 2009.Thank You West Coast Porting! " ".I started with a triple piped 1998 GP1200. The cylinders and cases were ported by the most popular porters around. I ran it for a bit then decided to take it apart. During the rebuild I decided to take a look at the case porting that was done. I was embarrassed about the work that was done. So I decided to send the cases off to WC Porting to see what they can do. I talked on the phone with Kevin and we talked about how, on a GP1200, the more case volume, the more power. After we came to a conclusion to “gut” these cases, they were sent the next day. About a week turn around the cases were back! I was amazed in the work that was done. I could not believe how polished the intakes were. There was a night and day difference. I would have to say that his work far exceeded the work done by other popular porters out there. Thank you so much Kevin for all the work you have done! " "I want to give a big thank you to my man Kevin! I recently had my cylinders shipped to him to have them ported and i tell you i could'nt be happier. Kevin really did a great job.I am more than satisfied with the work, service, advice, and turn around time. He went above and beyond and i thank him very much. for any of you that are thinking about porting, go for it.I also want to thank the godfather of porting (lowell) for teaching the young grasshoppa the art of porting.I appreciate both of you for all your hard work." Hello, I am John from Greece. I want to say a big thank to Kevin for saving my beloved GP1300R!!! I have made almost all peripherals updates on my GP1300R, before I decided to port the cylinders for more power. 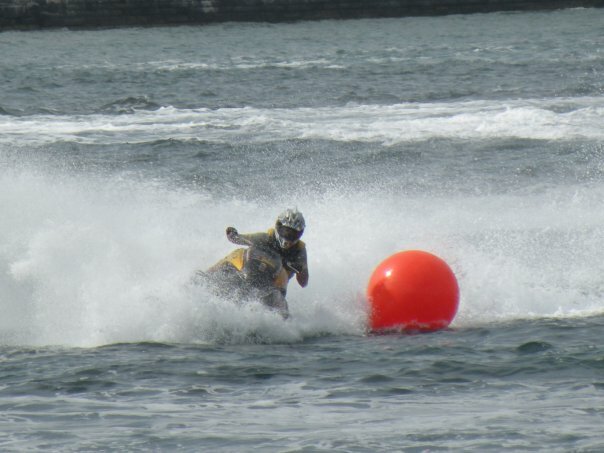 Before that point my jet ski was fast enought to defeat stock Kawasaki Ultra 250 and stock Sea Doo RXPX. Then I sent my cylinders to a guy in California for the porting. After the cylinders returned to me and I assembled them, I realized that my jet was slow as a turtle. Then somebody told me about Kevin and WCPorting. I talked a lot to Kevin by phone and by emails and finally we decided to buy some used cylinders and do the porting to them. The results were awesome. Now my jet ski is faster than a tuned Kawasaki Ultra260 and lite tuned Yamaha FZR. Thanks a lot Kevin for everything!!! Hi my name is Steve from Western Australia. This year I purchased a second hand SXR 2009 in view of racing and wave jumping. After a few e-mails and phone conversations (due to me changing my mind) Kevin gave me the list of mods to meet what I wanted to achieve, I went for the hamburger with the lot with a 94 octane safe compression. Kev made the build a personal experience and made sure that even though I was across the other side of the world It was like I was there each day/week in the work shop looking on. The motor (assembled) and all the other goodies came in a large crate with wheels, packed with care and everything was clean and bubble wrapped. The ski, well that went beyond my expectations, it came with instructions of how to run it in properly and Kevin has backed it up by assisting (by phone and e-mail) to dial the motor in. Kevin knows what customer service is all about and the builds/mods he does are of high quality and are built as planned and requested. Thanks again Kev and I will see you next year at the WC porting annual event.